Plug-in temperature sensor manufactured by Aqua Computer for plug&cool connectors. 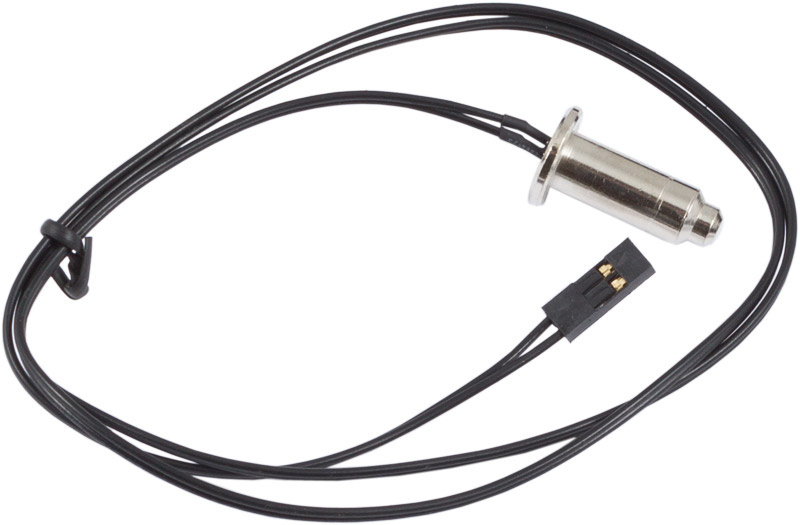 This temperature sensor can be installed in a plug&cool T-connector for example. Inside the nickel plated metal body, a NTC temperature sensor is cemented with thermally conductive compound. Cable lenght approx. 60 cm, female connector.